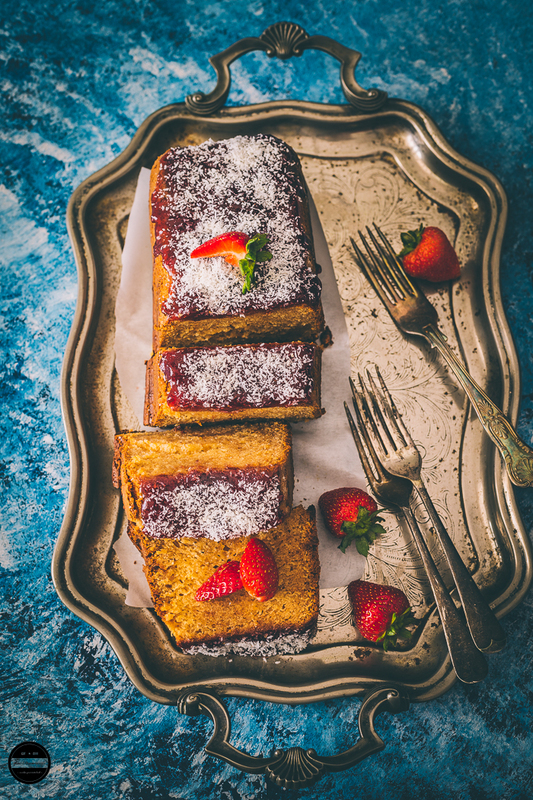 This simple Eggless Honey cake requires minimum efforts but yields amazing results! 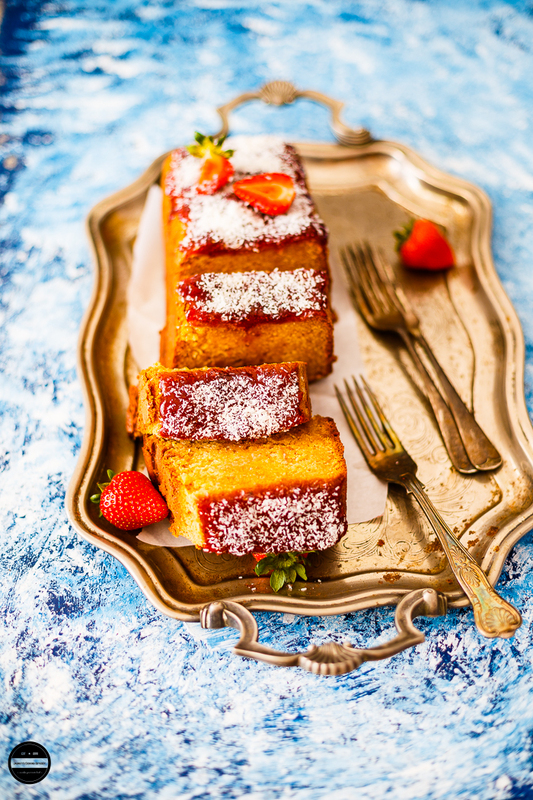 A simple, delicious cake for a morning coffee, afternoon tea or treat for any happy occasion. The end of summer holidays are always bittersweet, you don't really want them to end. For a couple of weeks, I can forget about studies and focus on doing all of the things that I enjoy. Cramming in lots of tv, catching up with home friends and sneaking in a holiday are just some of things that I got up to this summer. I squeezed in quite a bit of cooking too. Often I would cook alone or me and mum would prepare meals together. If there is a single reason that my mum is going to miss me now that I am back at uni, it's because of this. To round off my cooking for the summer, I made an Eggless Honey Cake. It was my little brothers birthday a couple of days ago and I wanted to bake a cake for him. I'm still new to baking so I wanted to tackle something at my level! Me and my brother have both grown up with cakes in every variety. The best thing about school was the pudding in school dinners. I don't think I will ever forget the excitement when seeing butterscotch tart on the menu - still lovingly mentioned by my friends. But there was another contender, the humble jam sponge, and custard. I thought I'd give this cake a go. It isn't classically a birthday cake but a reminiscent of our times at school! 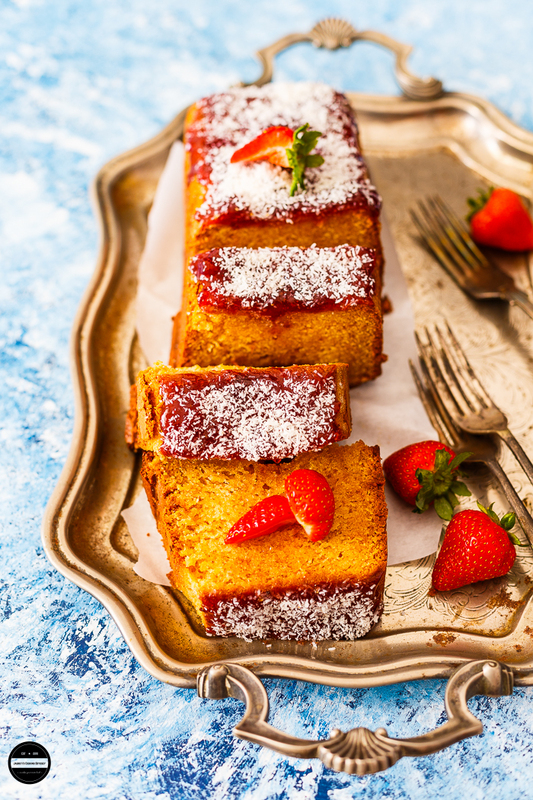 A variation of the jam sponge is the honey cake, in which the sponge is soaked in a honey and sugar syrup. The cake was fairly simple to prepare and bake and turned out really well! The house was cocooned with the warm sweet smell of the cake, which was moist from the honey and you could distinctly taste the flavour from the orange juice. My favourite part was the jam and coconut on the top! Most importantly though, my brother really enjoyed it and had a wonderful birthday. I can only hope to be spoilt the same way when my birthday comes along!! If you can not find orange juice with bits then use 1 Tbsp. orange zest and plain orange juice. 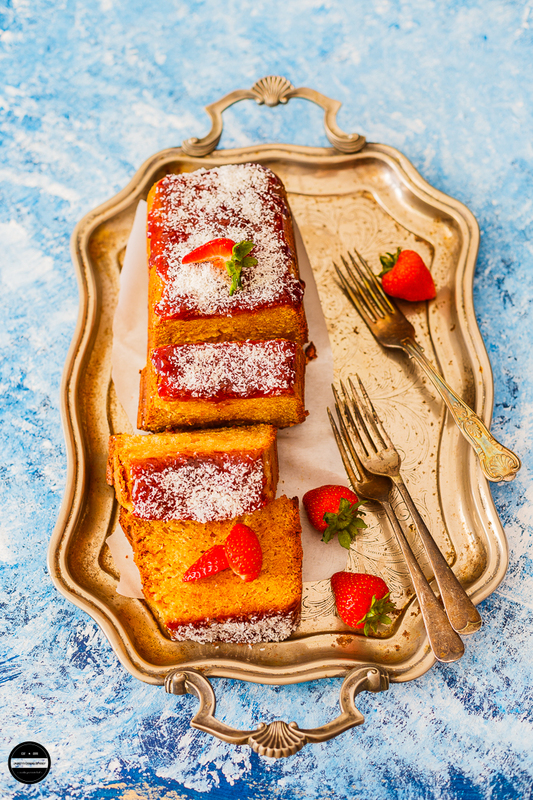 This wonderfully delicious eggless honey cake is very easy and quick recipe. 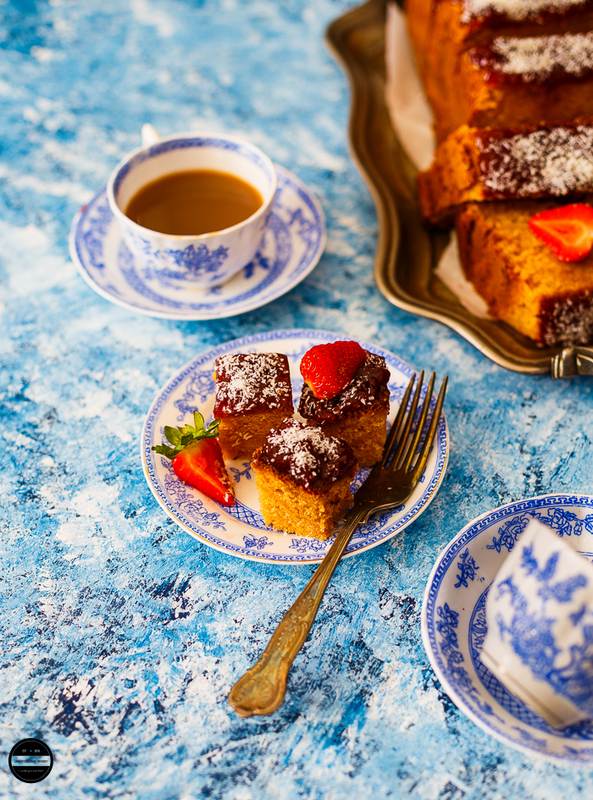 It is rich and moist, perfect for a morning coffee, afternoon tea or serve as a special treat on any happy occasion. Pre heat oven to gas mark 4 or 350F.Grease or spray 2LB loaf tin then dust with little flour and remove extra flour.Place plain flour, baking soda, and baking powder in a big bowl and whisk properly.In another bowl whisk in oil, orange juice, condensed milk, lemon juice and vanilla extract. Incorporate wet mixture into dry ingredients. Spread the mixture into greased and floured loaf tin.Bake the cake until tooth pick comes out clean and top should be a little brown. It should take about 50-55 minutes. Remove it from the oven and completely cool.When the cake is cool, remove it from the loaf tin and arrange it on the board.Now prepare the syrup by boiling together water and sugar. Boil this syrup for 5 minutes then turn the heat off.Whisk in honey when the syrup is just warm.Using a fork or a toothpick to poke the cake.Use a spoon to pour on syrup, maybe you won't need all of the syrup. Sometimes simple bakes are under-rated and this definitely looks like a wonderful cake despite its simplicity. I love your addition of coconut on the top - it really makes the cake pretty. Happy birthday to your little brother! I agree, end of summer is always bittersweet! You are such a nice brother to make a cake for him! And I am sure your mother will miss you for more reasons than this cake. ha ha. Though the cake is pretty yum! This sounds so lovely, and so much more elegant than the big frosted birthday cakes we make in the States! 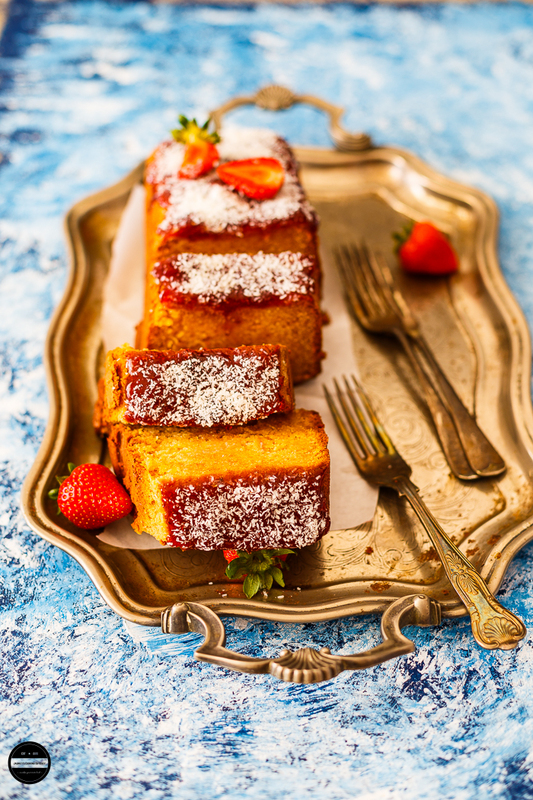 Great looking cake and I love the idea of using condensed milk! Thank you so much for this recipe - I used to LOVE the honey cakes from the local bakery back home in Chennai and I was thinking about it a lot this week! This cake looks so delightful! I sometimes prefer this type of cake to the really sweet frosted ones. Beautiful photos! I can't wait to make this!! This is a gorgeous moist looking honey cake. I love it! What a gorgeous cake! I love the deep golden color and the jam topping is perfect. Wow what a wonderful bake.. beautiful cake. first of all overall cake looking beautiful. I have seen honey cake with simple honey syrup on top. Adding lemon juice and starwberry definitely take it to another level. This cake looks gorgeous -- like little bars of gold! :-) I love the addition of strawberry jam and coconut. 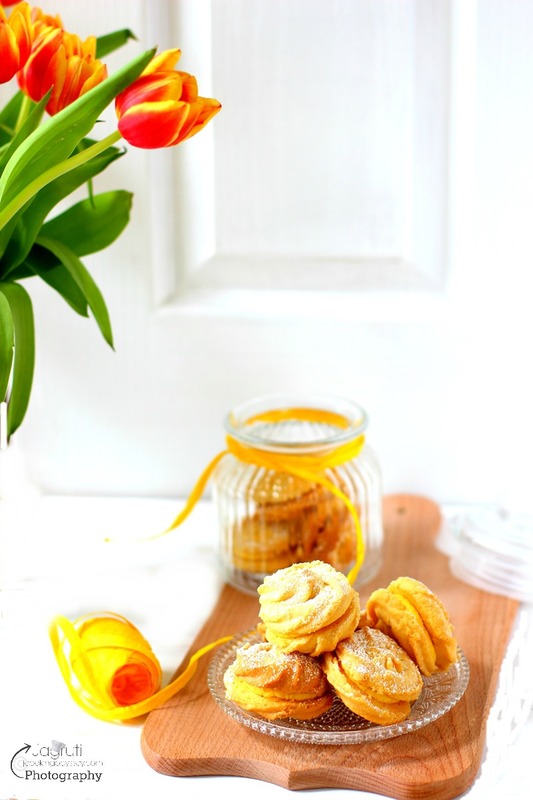 I haven't baked in a while and you photos are totally inviting me to try this out! PS:I love your backdrop and those dainty tea-cups! This is such an irresistible treat. Would love to dig in this now.